While I don't have the same vehement hate for Sonic that you do, I also agree that the game was never that good to begin with. I agree with Animal Crossing wholeheartedly. It's a series that has tons of unrealized potential. Yeah, don't even get me started on Animal Crossing. I'd also try to find room for the Tony Hawk series in there... Tony Hawk 1-3 were such fun games. I'm really not sure what Activision needs to do to make the series relevant and fresh again, but I'd be happy if they somehow could. 10. 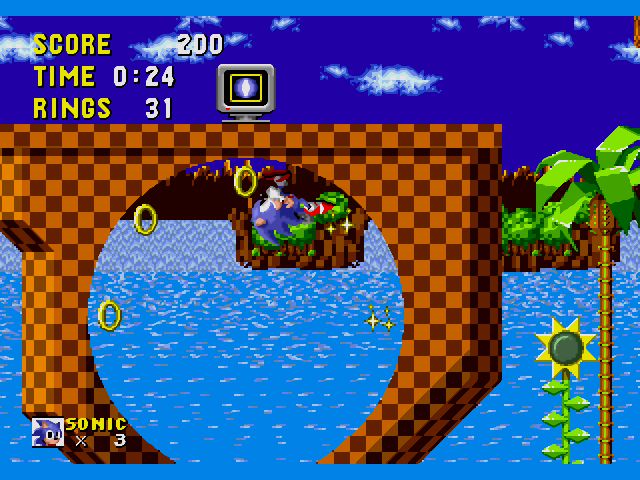 Sonic: As I said upthread, love the 2D games. Never played a wholly satisfying 3D one. But Colors was well reviewed, so maybe this one is already starting to change. I think Ninty ought to see what they can do with the Wii Party games, first. If Mario Party is to come back, it should be in the middle of the Cafe's lifecycle and no earlier. 8. Lemmings: Now we're talking! 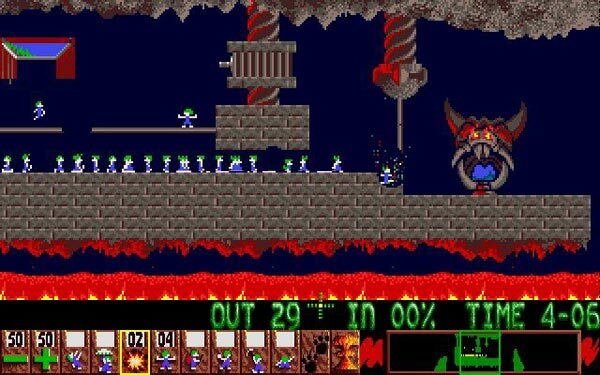 I put a lot of time into the original Lemmings, too. Some of the younger folks may not realize, but this was a pretty major, popular PC game for a few years. I can easily envision a return of Lemmings in the handheld or mobile gaming markets. It was more fun than Angry Birds, that's for sure. 7. WarioWare: I said my piece about this in the Community Thread the other day. I still think this is a great series, but it needs to expand beyond the microgames at this point. (That's why I think DIY was a step in the right direction with its new game-creation aspect, even though the actual microgames are pretty uninspired). Either that, or it's time to call it a day. No matter what happens, Warioware was one of the legendary surprises from Nintendo in the 00s. Nothing can take that away from the series. 6. 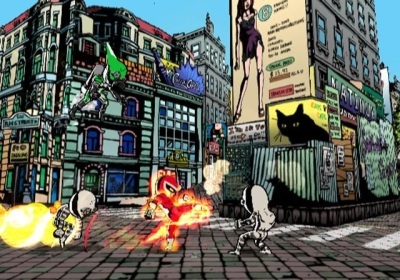 Viewtiful Joe: I liked VJ, but I didn't love it. Wouldn't be on my list, but I'd be happy to see a new one because I know how much the fans of the series would love to see one. 5. 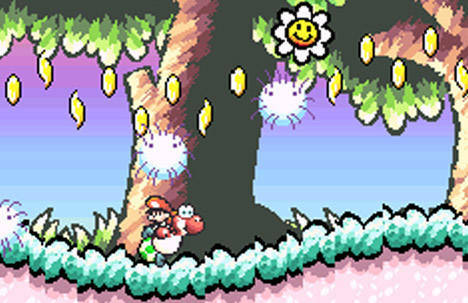 Yoshi's Island: Yeah, I need to really dig in and play the original Yoshi's Island. I think, as a teenager, I was too hung up on its differences from the Mario formula to really appreciate it. So I need to dig into the old one before I clamor for a new one. 4. Mega Man X: Eh... I think the appeal will be a little more limited if Capcom does this. It's a good idea and I'll bet there are Mega Man fans who'd buy it in numbers, but the X series just didn't cross over into the mainstream the way the original did. That makes me think we won't get another X game until Mega Man 15 fails to sell more than 8 copies. 3. Animal Crossing: Yeah, add me to the list on Animal Crossing. Actually, I think you can just about add the name of every fan of the original game. 2. Super Monkey Ball: Not really a fan of Super Monkey Ball. I enjoyed my playtime with these games, but I'll never be a big fan or anything. I'd rather SEGA put all their resources into de-sucking Sonic. 1. 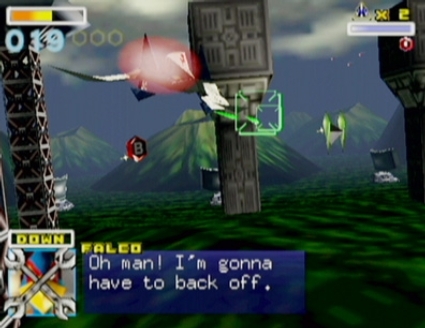 Star Fox: If you haven't given it a try, I think Command is worth your time. But Starfox is really made to be a home console game. Of all the games on this list, a great Starfox is game is probably the one I want the most at this point. So... good taste. I wish Twilight Princess was as fun for me as the N64 games the and SNES game were. And, you know, the original Legend of Zelda.. I'll agree with Star Fox; I haven't played Assault yet (I own it), but I heard it isn't super-awesome. And I'm on stupid "Adventures" right now.. What a bog. And I like Animal Crossing just fine. Adventurers is ok. Until you finish it. And then you realise you have NO desire to replay that turd. I have no desire to replay that turd..and I'm in the middle of it. Its been "going/active" for yeeeears. It was weird. That was my first game I bought for GC...even before I HAD a Cube. The game was on special with a free memory card so I grabbed it whilst I could. Didn't have the money for the actual system for another couple of months. But I got it because I figured, "Rare meets Zelda", how could it go wrong? Plus it was all pretty and stuff, and using that staff to beat up on lizards was hell fun. But then you look back and see how horribly linear it was. Doesn't hold a candle to Zelda. Upon realising I never wanted to touch it again I sold it. One of the few games I actually have sold, I usually hoard like a mofo. I hoard as well. I was also lured to it by the same lie that befell you. It was more of a "Star Fox meets Zelda" thing for me though. Why didn't they just call it "Dinosaur Planet" and make it a totally different game? Why did they need to TEASE us with Star Fox? I can "appreciate" Nintendo/whoever wanting to do something different with a Franchise, but sometimes we DO want more of the same. We should've just had Star Fox 'Cubed' (How did we have 0 Gamecube titles named "Cubed" [as far as I know..] when nearly EVERYTHING on N64 was "_________ 64?" Come on!) with gameplay almost the same as Star Fox 64, but visually better and longer gameplay or something? What a shame. Back to what I just said, the overwhelming success of New Super Mario Bros. Wii is proof enough that sometimes the public does indeed want the "same old, same old." I know I do. I'd rather play Star Fox Adventures than Mario Sunshine. I SAID IT. Have you played them all? There is nothing wrong with the Wii version per se, other than the fact that it is the same damn game for the third time in a row in a franchise that could be so much more. If Nintendo really started to make some strides in innovation with Animal Crossing, that game could own my life. I put A LOT of time in the GCN game and I didn't even really have anyone to play with. I played Animal Crossing: "Population Growing" on Gamecube, and Animal Crossing: City Folk. I didn't play Wild World because I don't have a handheld. I've spent ridiculous hours playing those, my Wii one had ~300 hours on it (like Monster Hunter), and I can't even begin to fathom how many house I have/had on my GC City. I was literally playing it every day for years. Every. Day. I think its unfair (REALLY unfair) to say that "its the same thing" when someone like myself had never even played Wild World. 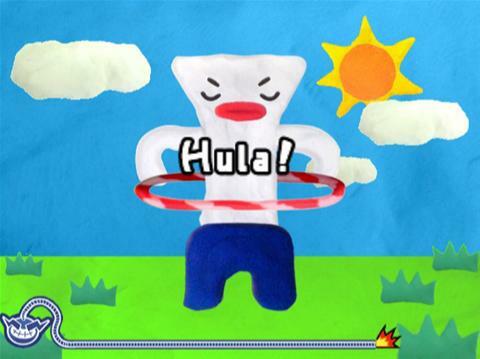 City Folk was brand new to me, with tons of new items in every single category, not to mention that I can go online with my friends now (something that you couldn't do on Gamecube at all), TALK to them out loud, play games with each other, and the rolling barrel thing was certainly new as well. Not necessarily "better," but it was indeed "different," far from "the same thing." F you, Wild Worlders. Stop complaining and ruining it for the rest of us. @Mr_Mustache I was really excited for Dinosaur Planet when I heard about it back on the N64, but when it became a Gamecube game called "Star Fox Adventures: Dinosaur Planet", I just lost interest. Maybe it had to do with the fact I never played Star Fox 64, but having this game suddenly become a Star Fox sequel made it much less interesting to me. Come on now. Don't say "F you" to the Wild Worlders. It's a Fact that City Folk did little to improve the series from their previous step. And for that, Nintendo does need to step it up. You have to look at it from the POV that most gamers try to follow the footsteps of their favorite franchises each way. It would be silly to ignore that on some level. HOWEVER in terms of pure console gaming, yes it was quite a leap from the original and a great one at that. Don't take it personal that people include Wild World in their discussions. But I think though, even now going from the Cube to the Wii, with the next one (for the 3DS) I think it's fair to want EVEN better from it. They did a lot of nice things but there is even more untapped potential. There is a lot of great content in City Folk, which is why I still HAD to buy it. 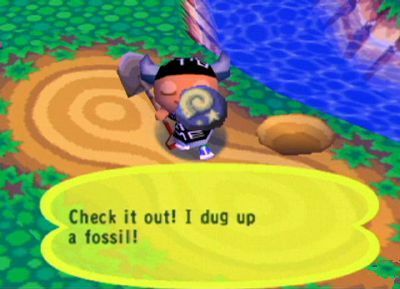 I love Animal Crossing to the core. We all can get along here! 10. Sonic: Yes. I haven't played Sonic 4, but I heard so many complaints. I wonder how they'll do further parts and I think already they've been taking too long to release further installments. Sega, don't try to overcomplicate things. Just do it and do it right. 9. Mario Party: Versions 1-5 were solid. They they went downhill. I believe that 2 was the true pinnacle of the series but I would really like to see this series back. I don't want the Wii Party series because I think it misses the charm but admittedly I haven't literally played it. I dunno. I'm unsure about that series. I know I want MP back though. 8. Lemmings: I wasn't that big of a fan of these games but I think it's like Sim City where I knew how to play, but not how to play effectively. I'd be interested in a WiiWare version or something. 7. WarioWare: Never played technically but I've heard so many things about it. I'd be willing to give a new one a shot, though I should just give the discounted old ones a shot. 5. Yoshi's Island: Loved the original. Liked the DS sequel. Would LOVE LOVE LOVE another proper one on a console. 4. Mega Man X: Never played a single MMX game. I wanna try though. I can't imagine liking the sprites better than the originals but I'm open to seeing this series reboot and capture a new fan. 3. Animal Crossing: This is one of my top franchises ever. Despite City Folk not doing much to improve on Wild World, which I played more than even the original, I have high-high-hopes. I do think though that it's likely the next one will do a lot to freshen up the game. The early screenshots show a lot of subtle differences from the predecessors and so I am psyched yet again. For better or worse, this is one of those franchises which is like, "Fool me once, shame on me. Fool me twice, well I'm gonna buy the game anyway." Kinda like me and Harvest Moon but better. 2. 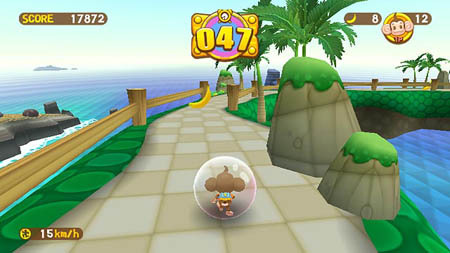 Super Monkey Ball: This was and still is one of my favorite franchises of all time. The first two were awesome! I disagree with Zero though. I think the second even was better than the first, though they both are close. Every one I've played since has been enjoyable but mediocre. I want simplicity back. I want a proper Monkey Target. I want challenge. No gimmicky controls that hardly work. 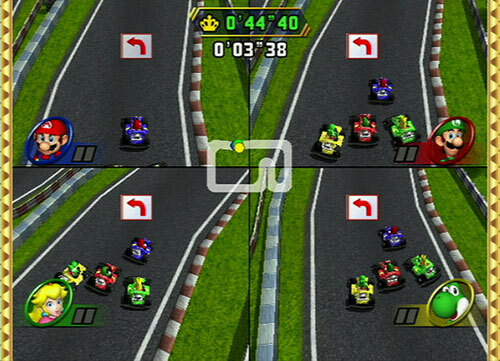 I want tons of levels and local multiplayer fun. It pained me to not pick up the 3DS version and I almost did but Donny, the Gamestop Manager, told me that I didn't need to. He knows my tastes and said not to bother with it. 1. Star Fox: The only Star Fox game I've played is Star Fox Adventures. Blasphemous around these parts sure. I will probably pick up the 3DS re-make as it looks like it'll be a ton of fun and utilize the 3D nicely. I would enjoy seeing more "core" games from this series cause I think while I didn't care back then, I certainly could now. Anyway, it was probably Inafune's obsession with MM2 that kept sliding out of MM9. 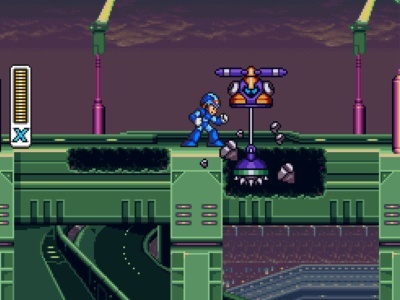 Now that he's gone, I don't think a SNES-style MMX revival would be quite as pared back as MM9 was (though I agree with Inafune that the NES Mega Man games were better without sliding and charged shots). @Mr_Mustache Ports are one thing, I mean, they're ports. No one is pretending they are new games. And to answer your unasked question, no, I don't get super excited about ports of games I already own... remember my Ocarina of Time 3DS poll? I'm not buying it. But yeah, for those of us who aren't totally racist again handhelds, Wild World already did pretty much everything that City Folk did. And that is even more sad since it is a console sequel to a handheld game, in theory console games that cost more should have a lot more. @DrFinkelstein I can see the argument for putting the 2nd Monkey Ball over the first. It doubled the amount of multiplayer games (expanding upon the originals as well) and the single player was still pretty fun. I just felt like the single was a bit gimmicky at times, and overall, it didn't really have the freshness of the original. With that said, we go back to 2 for multi. Wild World / City Folk IS essentially a port. The game even asks you when you start if you want a brand new town, or if you want to continue your one from Wild World, haha. I mean, come on. Like Fink said, I GUESS it sort of is unfair of me to say that, but at the same time, what percentage of gamers have everything / get everything? I really didn't think I was THAT much of a minority. YOU'RE not buying Ocarina of Time 3DS, but TONS of people are. And tons of people HAVE. Over. And over again. I dunno. Don't blame the world that you're addicted to Animal Crossing! Go play Rune Factory Frontier if you want a different Animal Crossing game.